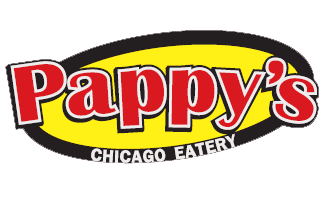 Pappys Chicago style eatery started in the 90s in the Chicago suburbs, we are pleased to serve you the authentic Chicago style food we grew up on! We Opened our first restaurant in Saint Paul MN in 2004, later opened multiple locations since then. we built a successful business only by serving food that made the Windy City famous for its street food ,like Chicago hot dogs, Italian Beef Sandwiches, Maxwell Street Polish and more. The proof is in the fact that most of their ingredients come directly from Chicago. As a result, our valued customers drive from all over the Twin Cities to eat the food they love. pappys is famous for its authentic gyros and all beef sirloin philly cheese steak, we are voted "best philly cheese steak" in twin cities by online review sites including yelp. We hope you to see you among our friends at Pappys, and we hope you enjoy a taste of Chicago.